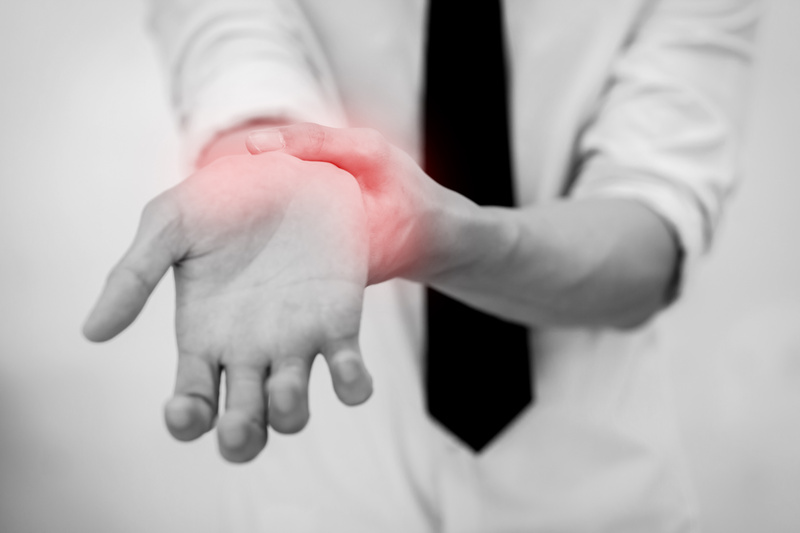 Wrist sprains are more common than you think. Wrist sprains often occur from falling on an outstretched hand (FOOSH), or overuse and repetitive movement from exercises that place a great deal of load and pressure on the wrist (ex. push-ups, planks). This post will address what you can do to prevent his from happening. Wrist sprains commonly affect the middle of the wrist. Ligaments hold bones together, so when an injury occurs to this tissue, it stretches and micro-tears the tissue creating possible weakness and limitations in one’s function. Also, ligaments take longer to heal because ligaments receive less blood supply compared to their nearby counterparts of bones, muscles, and tendons. When one does injure their wrist, one should seek out a sports chiropractor to address and evaluate the severity of the injury, including the functional limitations. Sports chiropractors will consider taking X-rays to determine if a fracture occurred (depending on the mechanism of the injury: trauma vs. overuse) and the length of time in which the individual has dealt with his/her wrist injury.. If it occurred from overuse or trauma, the sports chiropractor can determine the grade of the injury (I, II, or III). A grade I injury is the least severe (vs. a grade III which is the most severe). Once the injury is properly evaluated and diagnosed, the treatment plan should include manipulation (as long as it is not an acute grade II or III) to help realign the joints alleviating swelling and inflammation of the wrist bones involved in the sprain. Also, rehab exercises to strengthen both the forearm and wrist are utilized to tighten the ligaments and muscles to reduce the likelihood of a future injury. Moreover, Kinesiotape is recommended to support the wrist so you can perform your daily activities with less pain and movement. Lastly, modifications to one’s current exercise regimen is necessary to prevent re-injury and to allow proper healing. Sports chiropractor certified in Active Release Techniques should wait until the healing process begins (usually about 1-2 weeks from when the injury occurred) to break up any scar tissue limiting movement of the wrist. If it is utilized sooner, then, patients may take longer to heal and additional ligament injury may occur. As the patients begin to improve, a graduated process of strengthening his/her wrist needs to take place. Otherwise, jumping ahead without addressing each rehab phase properly and returning the individual to their normal workouts too quickly will likely result in re-injury, instability, and weakness. This creates more time and money spent on one’s health care. It’s your choice, but changing your workouts for a few weeks is better than multiple episodes of recurrence.